The name may not mean anything to you. It probably meant a lot more to your grandparents or great-grandparents. In her day, Hedy Lamarr, whose real name was Hedwig Eva Maria Kiesler, was a film actress of reknown, mostly known for her roles as a seductress and considered quite attractive. Her name was briefly resurrected as the punchline of a joke in the Mel Brooks film Blazing Saddles, which featured a character with a similar name. Ms. Lamarr was, as they used to say, “more than just a pretty face.” In a time when women were not encouraged to enter into serious business or military affairs, she did. She formed her own film production company, one of only a handful of women to do so before the 1970s. She had very little formal education, yet she contributed to two of the most important fields in the 20th century: communications and aerospace. And, she did it all while fostering an image of “just being an actress.” No question, she was one impressive person. Ms. Lamarr came to the United States from her native Austria because she did not want to be under German occupation. Naturally this led to her fervent patriotism and her genius mind turned to ways to win the war for the Allies. She discovered that radio-guided torpedoes (the high tech weapons of the day) were very easy to jam. And so, she visualized, invented, and patented a system for synchronizing two devices jumping between different frequencies. She did it with player-piano parts, which led to some people believing it wouldn’t work. But work it did. Unfortunately the US Military laughed at the actress; fortunately they still won the war. The patent Ms. Lamarr obtained covered what would eventually be called “frequency-hopping spread spectrum” technology. With the coming of electronic components, it was put into nearly everything the military wanted made secret and secure. You see, being a patriot Ms. Lamarr donated the patent to the military. When they realized its value, they proceeded to use it and not acknowledge her. FHSS eventually became the basis for almost all modern cellular and cordless technology, including Wi-Fi, Bluetooth, cell phones, and cordless phones. With a limited range of frequencies to use, devices often hop from one to another to avoid interference. It’s so common you don’t even notice. 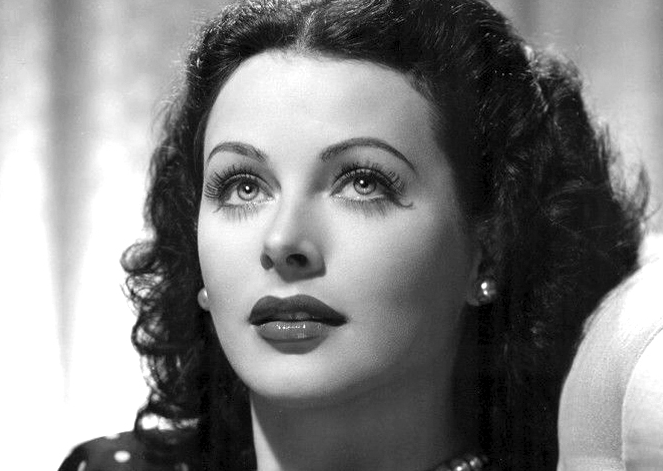 No one noticed Hedy Lamarr either until the 1990s when it finally came to light that nearly all the current high-tech of the day used elements of US Patent 2,292,387, filed and awarded to her in 1942. Hughes Aircraft, however, became a subsidiary of General Motors at one point. It was this subsidiary which launched a revolutionary service for providing satellite-based entertainment, a service you know as DIRECTV. Mr. Hughes was also, in the parlance of the day, a hound dog. His reputation for spending time with Hollywood’s shapeliest starlets preceded him. He spent time with Hedy Lamarr too, but contemporary accounts say the two spent more time designing than canoodling. Sources say that Ms. Lamarr contributed greatly to the aerodynamics of Hughes planes. She herself had no formal education in physics or aerospace, but instead simply watched birds and fish and figured it all out. 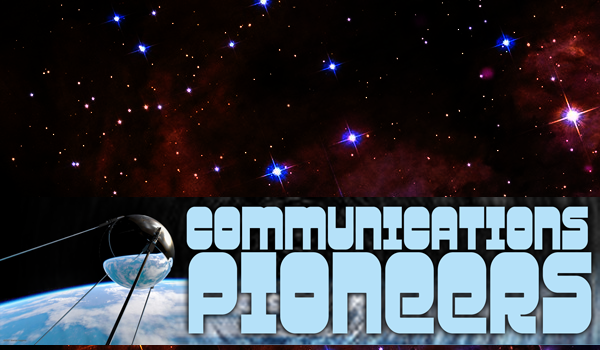 …to be a pioneer in the communications industry. To do it, as Ginger Rogers was said to have done, “backwards and in high heels” is quite another matter. Like Lucille Ball after her, Hedy Lamarr contributed to the technical world we live in, while making her way in a world that was twice as hard for her as it was for her male counterparts. For this we salute her. NICE AND EASY: What size mast do you need?